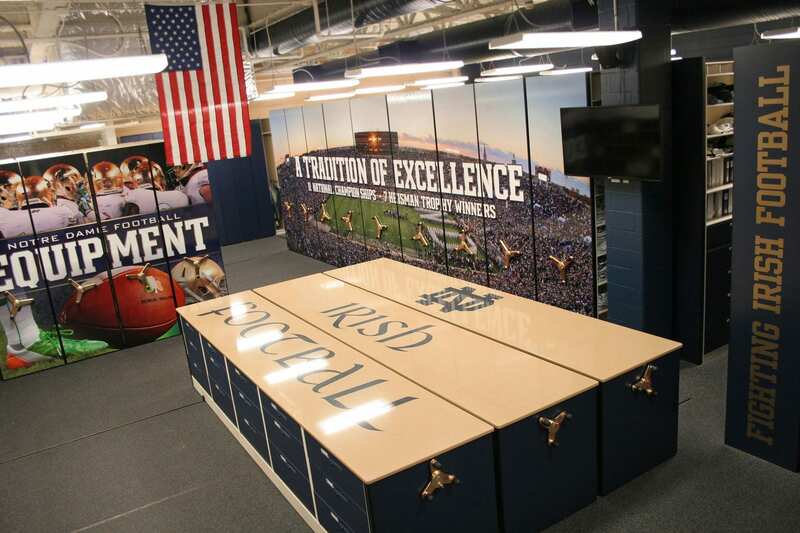 Sports Equipment & Uniform Storage Solutions. The third mobile system was installed in a separate room and was used solely for helmet storage. 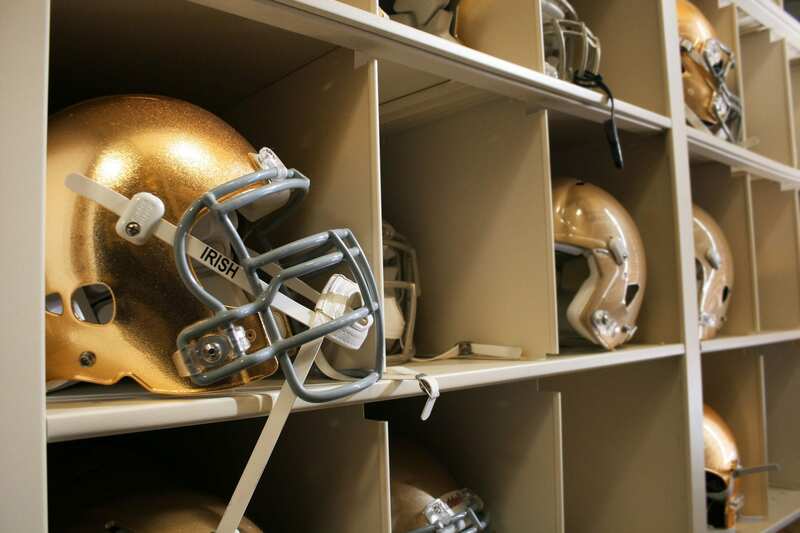 The 4-post shelving was customized similar to the player cubbies, although on a small, helmet-sized scale. To create a workspace without losing storage capacity, we designed a fourth and final compact mobile shelving unit to be at a height similar to a counter. With this modification, 15 students can be folding at the same time. This three-carriage, mechanical-assist system was outfitted with 4-post shelving, doors, and drawers to store small items, parts, and conceal the room’s trash bins. 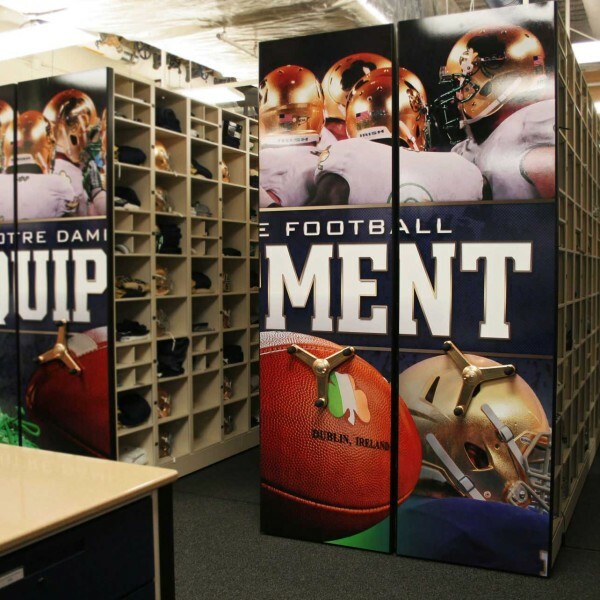 Notre Dame’s equipment staff knew that their student equipment managers were crucial to the team’s success, and wanted them to have a place to keep their personal items as well. 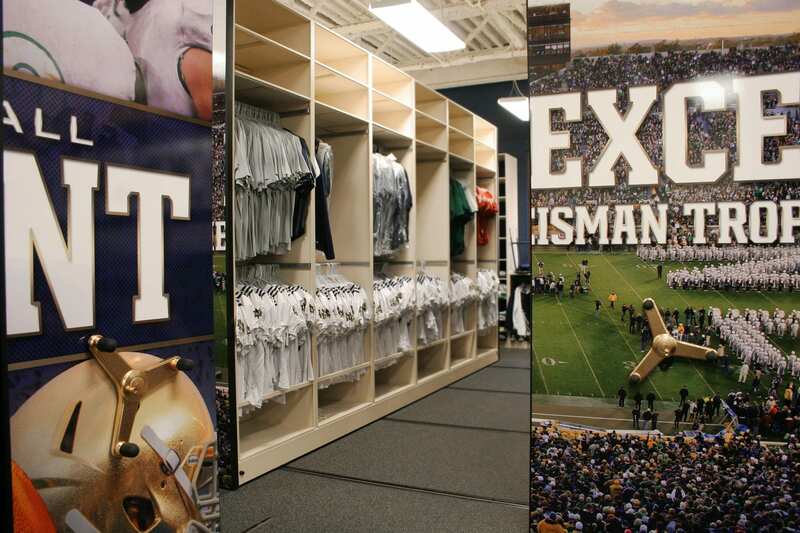 For this reason, banks of personal storage lockers were installed independent of the student athlete lockers. The University of Notre Dame, located in South Bend, Indiana, is recognized globally for its reputation as a research university and its top-rate School of Architecture. It’s also known for its football team—the Fighting Irish holds the highest winning percentage among college football programs and has 11 Division I NCAA National Championships.